Guitar Tablature vs Standard Notation: Which Is Better? Have More Fun Learning Guitar! Why Some People Can Write Songs And Other Can’t? Is It Really Necessary For Me To Learn Scales? What do you think is the greatest component to you succeeding as a guitarist? Is it your good looks and charm? Could it be how long your fingers are? 1. It all starts with believing you can achieve great results on the guitar. Your environment: Encouraging parents and teachers who tell you that you can achieve something, a positive surrounding, or even a negative surrounding that drives you to achieve better so you can get out of there! Knowledge: Reading how other people who came from backgrounds similar to your have achieved the same goals that you have. Seeing results: Seeing how you could not do something six months ago and now you can. You know you can apply the same principles to achieve things that you want in the future. An example of a belief is knowing that by practising the guitar properly for an hour a day doing what your teacher has told you to do exactly, you will improve and achieve your goals much quicker. 2. Your belief drives your potential. The more belief you have, the more of your potential you will use. For example, when you go to your guitar lessons and think, “Oh, this is too hard. I cannot do this”, you probably will not try very hard. However, if you are super pumped and positive, you will believe you can do it if you just do what your teacher says and practice. You will try harder and use more potential. 3. When you use more potential, you subsequently have more action. The harder you want to try, the more of your potential you use. For example, the more of your potential you use, the more hours you allow in your schedule for practising and the more motivation you have for it. The more hours you practise, the more focus you will apply when practising, and you will take it more seriously. The more you practice, the more you improve—assuming that you are practising the right thing. However, even if you are not, you are more likely to find out that you are making mistakes quicker and correct them than if you did not put the hours in. The quicker you correct mistakes, the quicker you will achieve the results you are after! Once you have seen that you can achieve something that you could not before, the more belief you will have in yourself. 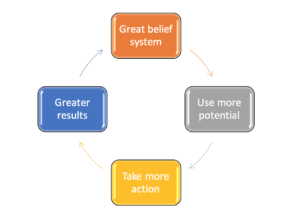 Therefore, you will use more potential, causing you to take more action and, consequently, achieve more results! This principle can be applied to many aspects in life. And is very relevant to guitar playing. It is often easy to get disheartened when you are learning guitar, especially when you get frustrated and do not practise as much as you should. You may start to think that you are not good enough, which then affects your belief system and causes you to use less of your potential, so you take less action. You start skipping lessons and not practising as hard. The cycle turns vicious. You go into the whole thing with a negative mindset to start with. When you do not believe you can learn to play; you think it is too difficult. Therefore, you do not apply yourself, do not take as much action as you should, and get fewer results. 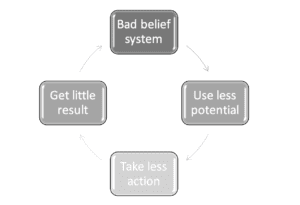 Your lack of results reinforces your negative belief system, turning the whole thing bad. Whenever you are stuck in a rut, think, “Do I have the right belief system?” If you do not, think “How can I get myself to believe in my ability to achieve my guitar goals?” Maybe you need to read some inspirational stories, or maybe your teacher is not encouraging you enough. When this happens, maybe you need to change teachers. Alternatively, another way to turn this around is to put in a tonne of action! Commit to yourself that you will try your best, do everything your teacher says, and practice as best as you can. You will then see the improvement. Massive action = Massive result! Seeing improvement will give you a sense of motivation, which will improve your belief in yourself. Now you know the essential steps to achieving results and how to turn things around if you feel like you are progressing slowly or are stuck with your playing. Your mind is a powerful tool. The more you actively choose to think the right beliefs and take the right actions, the more you cement in your mind how to motivate and discipline yourself to become a great guitar player. Do you think someone can learn to play the guitar if they are not talented? How would you define talent? Where do you think it comes from? Where Do Brilliant Musicians Come From? You will never find a brilliant guitarist who has not put in thousands of hours of playing and practising to get to where they are. Playing the guitar is a learnable skill that anyone can achieve. What people perceive as talent has always come from hours of hard work, which has produced that brilliance. Often, people who brush off trying new things by stating that they are not talented enough are subconsciously making excuses for not wanting to put in the time to achieve things themselves. 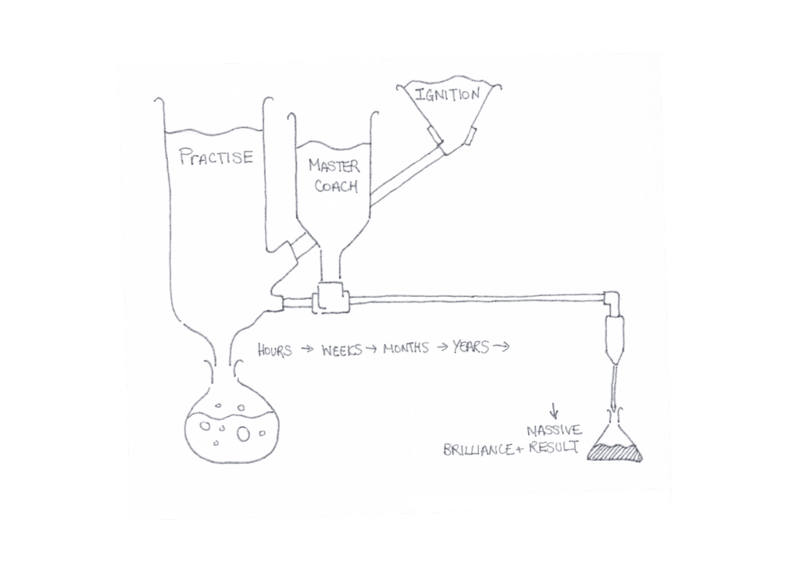 There are three components that come together to create brilliance and massive results with any skill. These are practise, ignition, and a master coach. In this article, we are going to focus on what practising guitar truly is and how it contributes to achieving massive results on the guitar. Are you “Playing” guitar or “Practising” guitar? Let us imagine for a second that you are a professional tightrope walker. You are pretty good, and you perform every night for a small circus in front of half-terrified, half-excited audience members. To keep your job at the circus, you must not make any big mistakes while performing. You have big dreams about being a world-renowned circus performer, but you know deep down that you are not good enough yet. You know that you have to get better at your tightrope act. And you need to perform more daring stunts to further your career, but how can you do this? You start putting in more time, going to the circus early and practising on your tightrope walk with just the net to catch you if you fall. 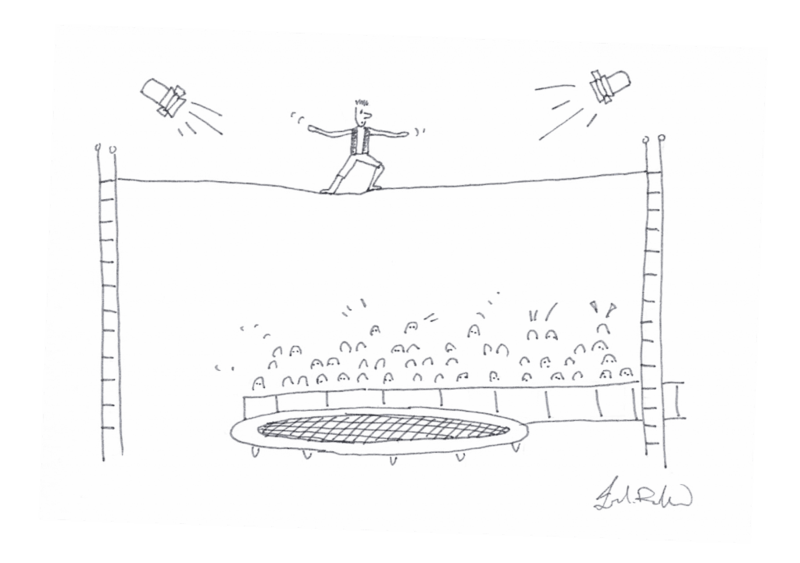 However, you have a problem; whenever you try anything too difficult, you fall off the 50-foot high tightrope and land in the netting. You are not making enough progress fast enough because every time you fall off. It takes you a long time to climb back up to the 50-foot ladder to try the same stunt again. You do not know what to do, so you seek out expert advice. Then you find out that the fastest way for you to make progress is to go back to basics. 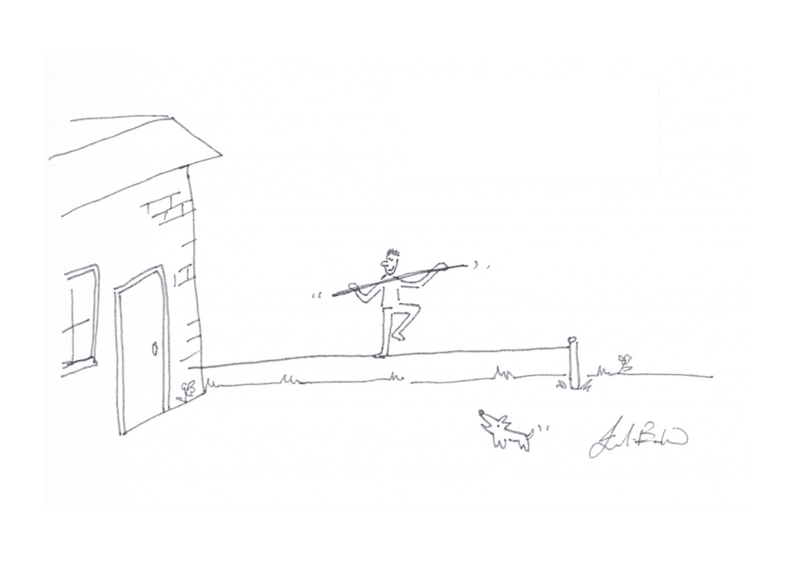 You are told to set up a tightrope in your garden, two feet above the ground and start focusing intensely on your weaknesses to make improvements. With the rope being so close to the ground. Every time you fall, you just jump right back on the rope to try the same stunt again! No time wasted, and more repetition of the same stunt until you perfect it. What is it like practising properly? As a guitarist, performing, recording, or jamming is like the performance of the tightrope walker in front of an audience. You sound good when you are playing things with which you are comfortable. To keep looking good and sounding good, you do not want to make any big mistakes while performing. Instead, you want to ignore your weaknesses and focus on your strengths to look and sound good. This experience is called “playing the guitar”. 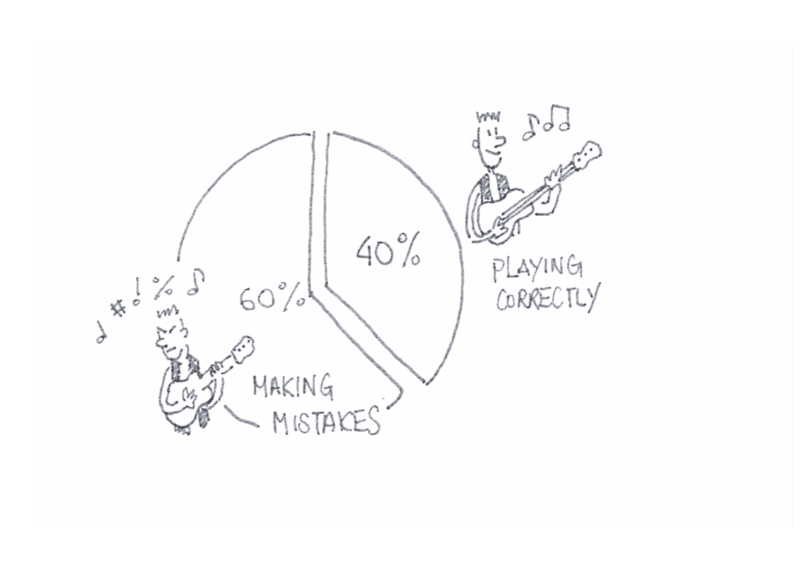 “Practising the guitar” is when you need to identify what challenges you need to work on. Then focusing on those challenges intensely and in minute detail. When you are practising the guitar, you have a different mindset. Just like the work of the tightrope walker, you are going to focus on your weaknesses and eliminate them. Weakness in your playing are the biggest things holding you back. You should be looking at very short passages and bursts of music to increase repetition of practising these challenges. This strategy is like setting your tightrope very close to the ground so that you get lots of repeated practise at the same stunt over and over again until you get it right. Are You Playing Guitar At The Right Level? To judge if you are working at the right level of complexity, you should look at how many mistakes you are making. You will know that you are working on the right things if you are playing it correctly two out of five times. That means that three out of five times you are making mistakes! This moment is a sweet spot where you are striving to grow and failing as you go. How can you identify which challenges you should be working on? The following exercise will blow out all of the cobwebs that were previously making you unsure of what to do when you practice. What do you want to achieve in guitar playing over the next 90 days? What are the top three things holding you back from achieving that goal right now? What is the solution for these three things? Put this piece of paper on the wall in front of where you practice and get to work on it right away. Start working towards your goal every day. If you would like help reaching these goals or if you are struggling to work out what the solutions should be for your challenges, we can help you by diagnosing your problems and putting a plan together along with the appropriate exercises to solve them. Contact us today for your free introductory lesson.